I set about thrifting in my hometown over the Christmas break and found quite a few treasures. Goodwill was kind of a bust, but Texas Thrift, a goldmine. 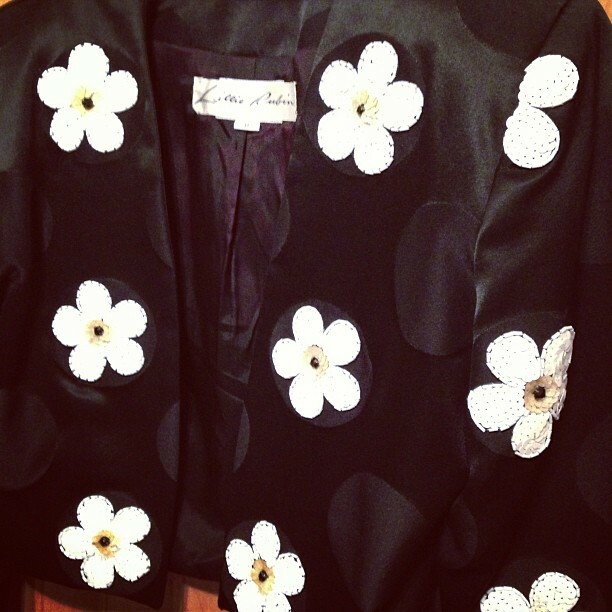 This amazing, Prada-esque daisy jacket was one of my favorite finds. It doesn't quite fit me, but I'm thinking of putting it on Etsy sometime soon. The pattern is so cute and decorative, it's going to be kind of hard to let go. 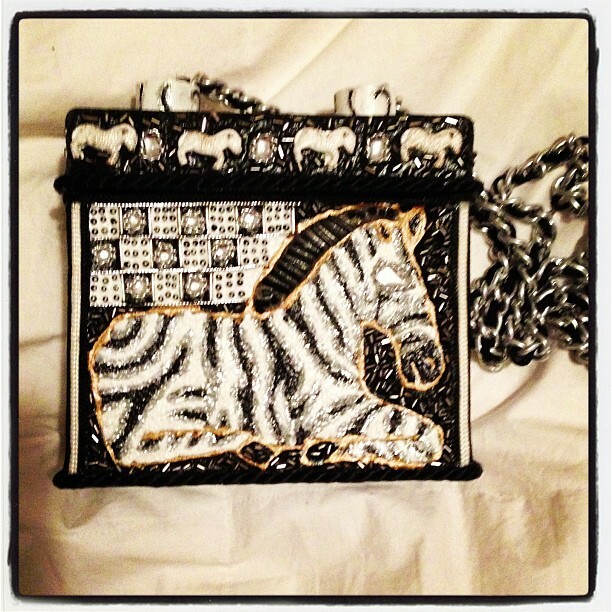 This strange, but adorable zebra purse also came from Texas Thrift. 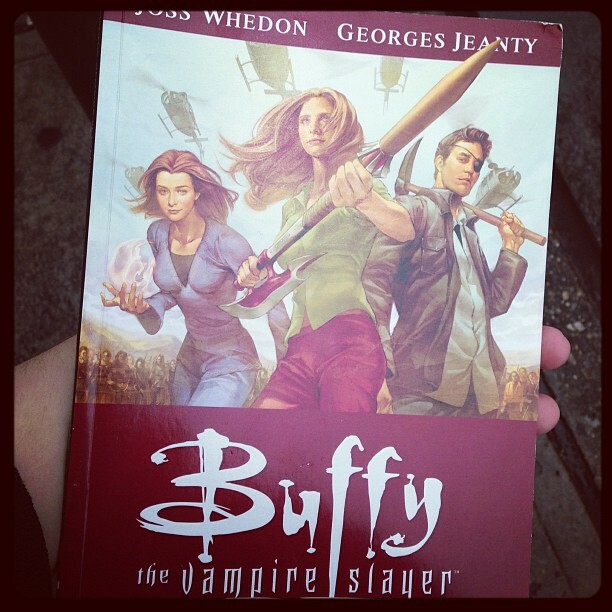 It's pretty different from anything I've seen before therefore, I didn't hesitate to grab it. One of my gifts this year was a fabulous vintage hat but alas my noggin was just a bit too big so I went back to the vintage store and traded it for these two dresses that I'm totally in love with! 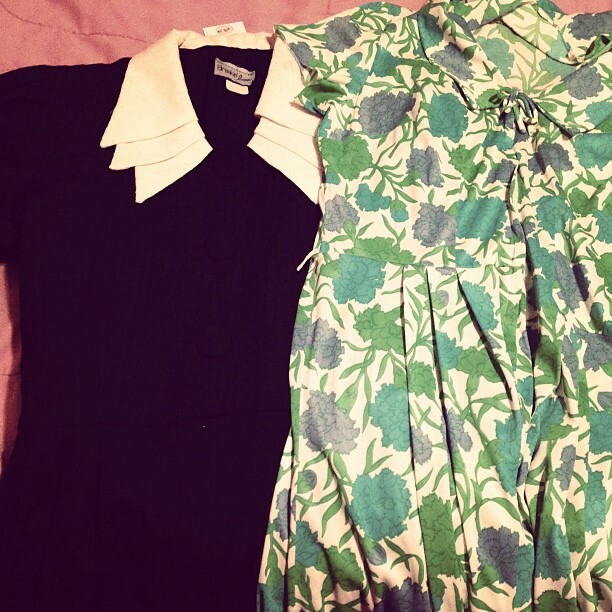 The one on the left is my fancy professional dress with a hint of 40's appeal and the one of the right is perfect for spring, but I've been wearing it out and about with cardigans and tights. 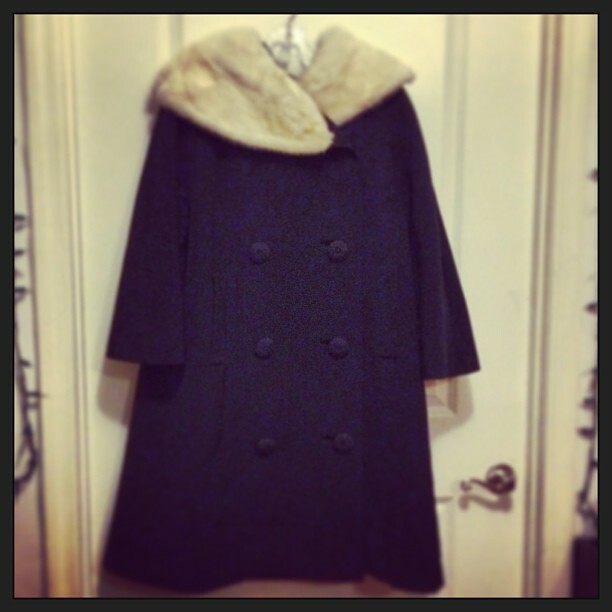 My new coat via Urban Jungle happens to be perfect for the weather right now. It's incredibly warm and makes me feel ridiculously glamorous. Plus, let's just say, it definitely did not break the bank. 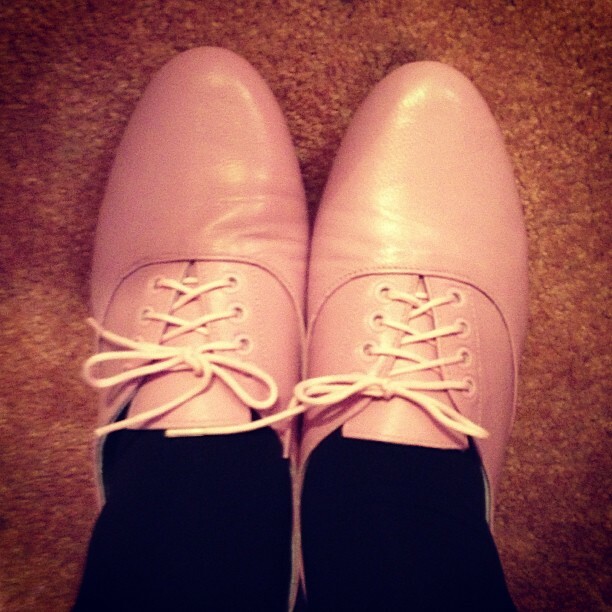 These shoes below are the pretty pink oxfords via my wishlist. 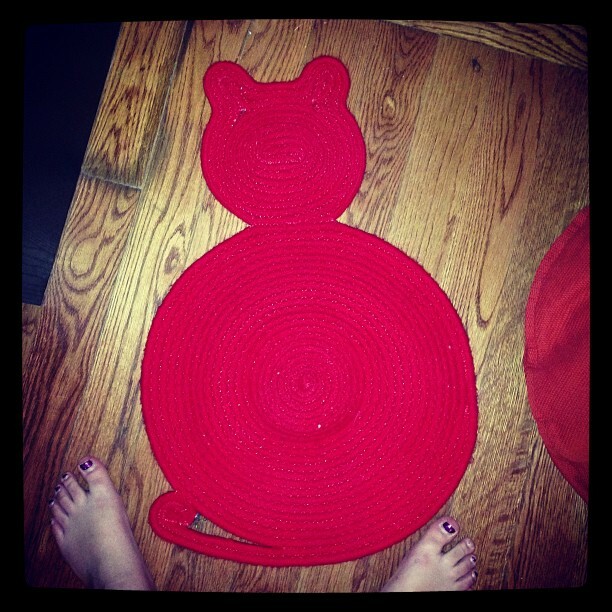 This fish purse and cat mat are via the Goodwill Outlet. Amazing finds no? Ok, I don't technically own this, but it's amazing. 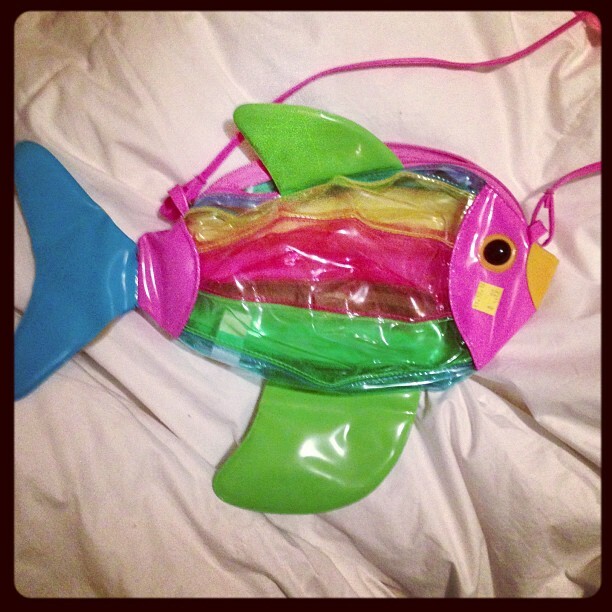 It's homemade and understandably pricey, but if your heart desires, you can get find it on Etsy. 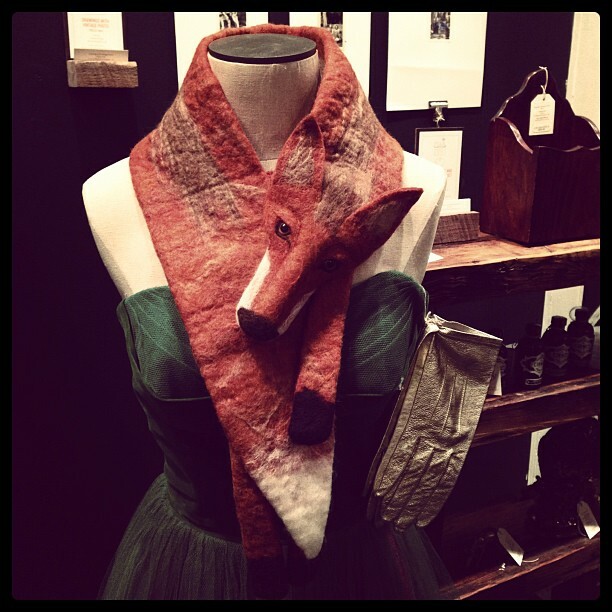 Calling All Vintage Lovers in Montreal!